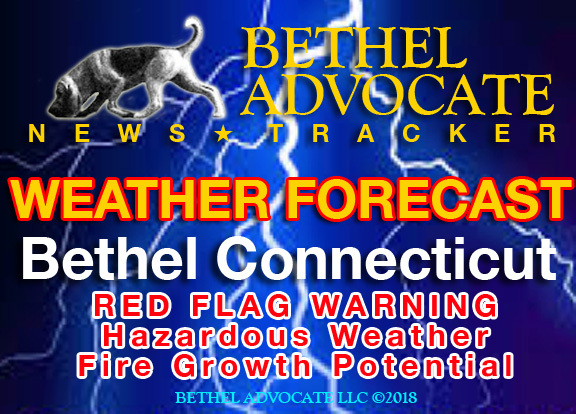 This National Weather Service has issued a RED FLAG WARNING and Hazardous Weather Outlook is for southern Connecticut, northeast New Jersey and southeast New York. A Red Flag Warning means that critical fire weather conditions are expected or occurring. A combination of strong winds, low relative humidity, and dry fuels will create a significantly elevated fire growth potential. * Affected Areas…All of southeast New York, northeast New Jersey, and southern Connecticut. * Timing…Into early this evening. * Winds…Northwest 10 to 20 mph with gusts up to 35 mph. Highest winds across southern Connecticut. * Relative Humidity…10 to 15 percent. * Impacts…Gusty winds and very dry air will create conditions that may promote the rapid spread of wildfires if ignition occurs.